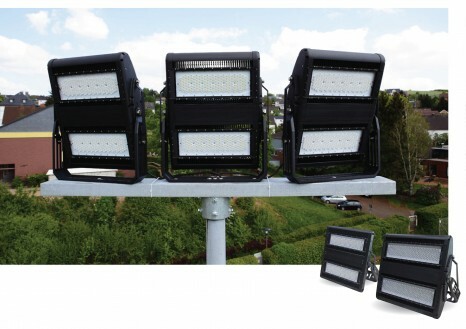 Ark LED FLood lights feature Lumileds Luxeon TX LED's and are powered by a Meanwell driver to provide a versatile and lasting LED lighting system. 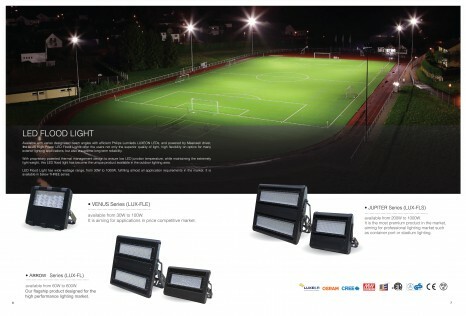 View the full range on pages 4 to 8 of the attached brochure download. 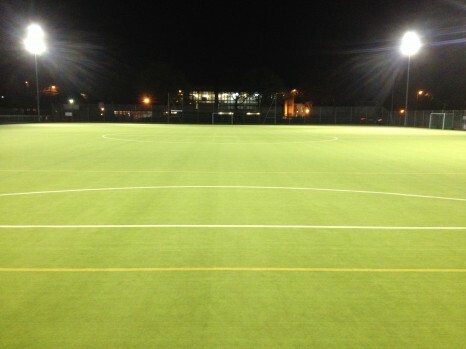 The Arrow Floodlight system is suitable for a vast number of applications from simple security or task lighting to high mast lighting and sports stadia lighting. 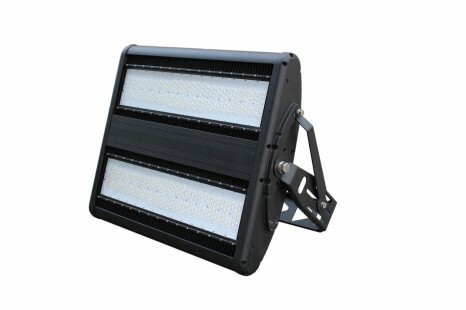 The Arrow high performance professional led flood light uses patented cooling technology which maintains a low LED chip junction temperature and thus delivers long life. 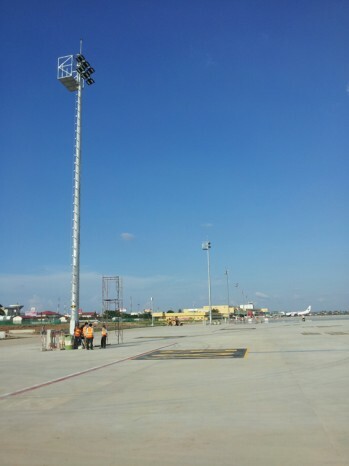 Here is an article which features our fixtures in a high mast lighting application.